Women returners: Back to your future: Reflections on Suffragette - How much progress have women made? 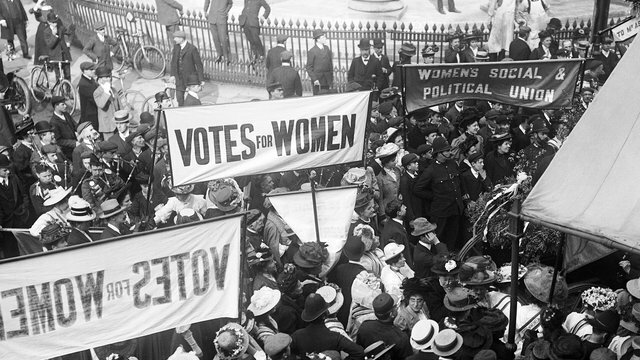 Reflections on Suffragette - How much progress have women made? Following a weekend when, with my teenage daughter, I attended a feminism conference and watched the harrowing and dramatic new movie, Suffragette, I have been reflecting on the progress of women in society in general and in the workforce in particular. The conference reminded me that there are still many aspects of life where there is inequality for women, but the film brought home how much has changed for women since we were given the vote, which is itself a relatively recent event, happening less than 100 years ago in this country. Since then, our family law has enshrined that women are no longer the property of men, maternity rights and pay have been extended and the right to request flexible working and shared parental leave have been introduced. And in recent years there has been a focus on balancing the boardroom and addressing the gender pay gap. Indeed in the past week, the Government has announced a process requiring companies to report on the gender pay differential in their organisations and Lord Davies has announced an extension of the 25% target for women on boards, to 30%. This success is, in large part, a result of the work of the 30% Club. Thinking about my own experience of the world of work, I again see progress. 20 years ago, I was the first person in my organisation to request to work part-time following my first maternity leave! When I stopped work after my mother became terminally ill and I was pregnant with my second child, there was a complete absence of support for women in my position. I resolved then to put my energies into contributing in some way to changing the experience for others. Since returning to work 10 years ago, I have been encouraged to see how enlightened employers now offer KIT days, maternity coaching and a variety of flexible working arrangements as they have recognised that they want to retain their female workforce. And Julianne and I have been delighted with the reception we continue to receive from organisations which are waking up to the neglected, but amazing, pool of talent that is women on extended career breaks. Our experience is that companies are acknowledging that women on career break are highly skilled and motivated and the companies are starting to work out ways to get you back into work. Although many of these innovations seem normal now, none were easy to achieve and I'm very aware that there continue to be problems for women in the workforce which need to be resolved. But I am hopeful that things will be different - and better - for my daughter's generation. Our conclusions from the conference were that we need to do more to get men on board with these issues and that to paraphrase Sophie Walker, the leader of the Women's Equality Party, change will only happen through action, not words. We will be continuing to pursue the goals of Women Returners: what action will you take?